Jennifer M. Koontz earned a B.A. from Franklin and Marshall College in Lancaster, Pennsylvania. She taught secondary Social Studies in Maryland before earning a J.D. from The Dickinson School of Law of the Pennsylvania State University. Koontz has taught students of every age, from preschool through college. When she became a mother in 2005, she began to make observations about parenting and collect stories that were told to her by other parents. Now that she has been a teacher and a lawyer, she has decided to add "author" to the list. When Your Centerpiece is Made of Play-Doh and the Dog Has Eaten Your Crayons: A Mother’s Perspective on Parenting, author Jennifer presents a lighthearted look at parenting. She covers a broad range of topics, from how to keep things in perspective on a daily basis to what our children wish we already knew. She shares her thoughts on how to raise kind, respectful children and how to treasure both the challenges and successes of parenthood. In addition to writing, she enjoys traveling, swimming, and reading with her daughter. She loves crafts and remains hopeful that her daughter will join her one day at the craft table. 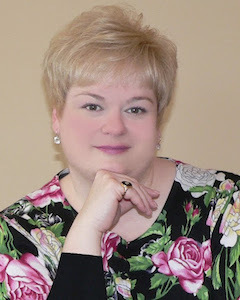 Koontz currently resides in Pennsylvania with her family and is working on her next book.